Peter Stroud is a modern renaissance man; in addition to being Sheryl Crow’s guitarist, he and his business partner Dan Boul are the proprietors of 65Amps. He is also a Premier Guitar contributor, writing our popular “Tone Tips” column. This presented me with a good old-fashioned quandary, although the potential conflict isn’t what you might be thinking. I have just taken care of those journalistic concerns by telling you “Peter makes this amp, and writes for us, too.” What was bothering me was, before doing this review, I had never spoken to to the man himself, but everyone here who has had even the smallest of interactions with him openly sings his praises as “the coolest guy ever.” In fact, the ball started rolling on this review via a conversation with a member of our sales team. I casually asked him what he thought of 65Amps, and was met with a rollicking, “Dude! You would (expletive deleted) love them!” And so it began. A few weeks later a 65Amps SoHo shows up, and I suddenly get all chickenshit about everything. What if I don’t like the coolestguy- on-earth’s amp? I had the potential to become the rock n’ roll equivalent of Steve Bartman, to Peter’s Moises Alou [Our offices are about three hours southwest of Wrigley Field – Ed.]. Fortunately – due to the SoHo being one of the best sounding, most flexible, low-wattage combos I’ve heard – the beer and insult hurling will have to wait for when various exgirlfriends catch sight of me at the local tavern. The SoHo cranks out 20 watts, and is equipped with a Celestion G12H 30-watt 70th Anniversary speaker. 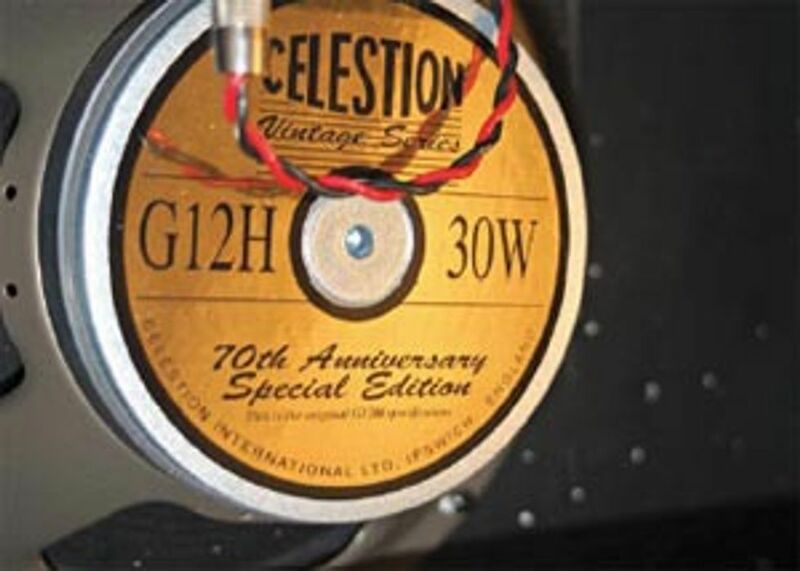 The chassis mounts in the cabinet like an AC30, with the top-mounted controls consisting of a defeatable Master Volume, Volume, Treble, and Bass controls, and a unique Bump feature, with Tone and Level controls, as well as a switch taking it in and out of the circuit. The SoHo’s appearance is anything but shy, with two chrome-plated grills being the line’s most recognizable feature. That, coupled with the two-tone tolex, prompted everyone around the office to comment on the obvious good looks of the SoHo. That is also the basis for an isolated criticism of the amp: it’s almost too pretty. 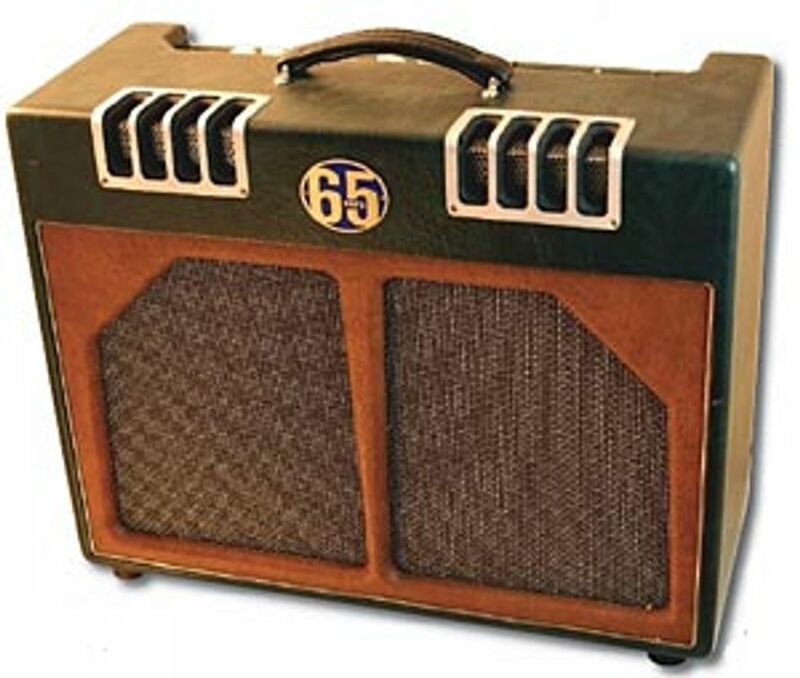 While this follows a trend started a while back by amp makers like Matchless and Tone King, I question the logic, particularly for the types of gigs the majority of guitarists play. Unless the SoHo is being purchased strictly for bedroom/living room use, budget for a flight case – and even then kid gloves are in order. I am in no way inferring it is not built solidly, because it is, but I’d just hate to see it after a few years of gigging without adequate protection. Continuing with this theme of full disclosure, I prefer to remain incognizant of the products I review beforehand, so I’m not swayed too much by preconceptions. That, coupled with the way the chassis is mounted in the 1X12” cabinet, made me scramble a bit, wondering if maybe it was rocking some oddball power tubes I hadn’t heard of before. I was certainly in no mood to pretend I know what a KT96 is. But once I determined the SoHo was equipped with EL84 power tubes, and had an EF86 running in pentode mode up front, I assumed this amp would have a vintage, Vox-y vibe. Boy, was I wrong. The best way to describe the overall vibe of this amp is Class A EL84 until things start breaking up; that’s when it begins imparting more of an EL34 vibe while retaining the EL84 chime. The SoHo alternately has tons of clean sparkle and headroom or convincing, musical crunch at baby’s-in-bed volumes with the Master switched in. It’s even capable of old school, crank-it-up raunch, no Master Volume needed, thank you. In fact, this is where the SoHo and I got along best. Rolling in the Bump’s Tone control adds even more schizophrenic prowess to the SoHo, going from various English-flavored tones to a more brown, then eventually blackface, vibe. The Level control is included in the Bump circuit to add even more tonal flexibility, giving you the option of how much of the circuit is fed into the signal. There seem to be enough tonal options to hang yourself, but even I was unable to create any truly crappy sounds, regardless of where the knobs and switches landed, which I consider to be a laudable achievement. To put it another way, I am unable to comment on how the SoHo deals with pedals. Why? I never even thought about using them while reviewing this amp. The clean sounds were thick and sparkly enough to keep me from ever contemplating plugging in a compressor or my trusty CE-2. The overdriven sounds were so dynamic and toneful that placing an overdrive pedal in front would have been unconscionable, like slapping a coffee-can exhaust on a Lamborghini. If you play alt-country, originals, or classic rock tunes in a band graced with a either a reasonable drummer or competent sound guy, this could be your next amp. If you’re ready to step up to a boutique amp, but it needs to cover home, recording, rehearsal and gig duties, this is your next amp.